Originally from Israel, Yotam landed at another beautiful locale: Palma de Majorca, Spain. He’s loving it: “Palma is stunning….great beaches, restaurants and nightlife, beautiful scenery. Weather is sunny, food is delicious and people are warm and friendly.” No surprise, he’s busy doing what he loves. Did you always want to be a fashion photographer? Ironically, I always thought I’d be either a celebrity photographer or a National Geographic photographer. I still enjoy both types very much. I started doing fashion because my admiration to the photography aspect of it. I love how expressive and creative that type of work can be and how the subjects can be made iconic, and in a way that’s the absolute manifestation of beauty, a true conjunction of reality and fantasy. What was the defining moment when you realized you were “living the dream”? On my first big fashion shoot; I was kinda ‘thrown into the water’. We were shooting on a yacht in St. Barth, big crew and an amazing model with lots of different looks and high-end brands. It was a high-paced, intense shoot but it all went great and everyone was happy at the end of the day. When the client called me back and booked me for another international job, I knew it. What are the perks of traveling for work? Set aside the 5-stars hotels and fancy meals, I get to see the world, see friends, make new friends… Get up and shoot every day, do what I am most passionate about, then come home with new experiences and new images. On a recent beach shoot I got low to capture an interesting angle. I fired the shutter and before I knew it – a wave came crashing in on me, the model and the camera. I was soaked and so was the camera. The lens had to sleep in a bowl of rice overnight cause the contacts weren’t working properly. The last image from that shoot is hilarious, ¾ of the frame is white water and on the corner the model’s looking straight into the camera with an “OMG!! !” expression. What piece of advice would you give photographers who want to live your life? Work hard and never stop learning. Be professional and courteous and learn how to say “Thank you” in every language and country you visit. Fashion is the combination of beauty, innovation and present life. Clothing is a necessity but fashion takes that necessity and makes it into what makes us human; beautifying, art, life, innovation and sexuality. How much equipment do you take with you? Actually not that much, I’ve got my trusty 5DMarkVI which is an incredible camera, a bunch of lenses and a couple of flash lights with stands and umbrellas. It all fits into one suitcase along with a few bits clothing. One checked suitcase and one carry-on bag. I’m a minimalist. What photographers do you admire most? Annie Leibovitz portraiture and more recent fashion work is so uniquely hers and I just love how she makes her subjects look greater than life; James Nachtwey’s take on war is so incredibly beautiful and humane; Steve McCurry’s travel work is reminiscing of classic painting – he is a master of exposure and composition; Max Rive does breathtaking landscapes which I absolutely admire, his technique is incredibly natural and detailed. I love so many others and every day I add to my list of inspiring artists. My latest one… I always think my latter work is better than the previous. What’s your favorite image you’ve ever made? I took that image on one of my visits to my hometown, Tel Aviv. It was on a sunny, crisp winter day. My dad and I went for a stroll; we found a sunny corner and sat on a bench. While dad took a nap (he is a renowned worldwide bench sleeper) I took out the camera. Every photographer has a unique understanding of his subject and surely, I have my own way of seeing the world and as a rule I try to let things be natural. I let the model express herself and find the best way to capture it. Another important thing when working on sets is teamwork. I know that my team is just as essential as myself in getting the result. What’s the most beautiful place or thing you’ve seen so far? When I first visited India I came across a disabled child at the main bazaar of Delhi. It was the end of monsoon season and it rained furiously. He begged for money and he obviously lived in the streets and was very poor and hungry. Everyone ran for shelter but he didn’t and I’ll never forget the knowing smile on his face. His eyes were shining and full of acceptance and joy. It was the most beautiful thing I’ve ever seen and I’ll never forget that. 2017 brought in new fashion and high-end luxury jewelry clients. Some more editorial work is in the planning. I hope to continue traveling and see new and exciting places, work with interesting and inspiring people. I want to make the picture speak for itself; if the viewer stops for a moment to admire the beauty of the model, and of the design and if all else becomes natural to the experience, then I have done my job right. 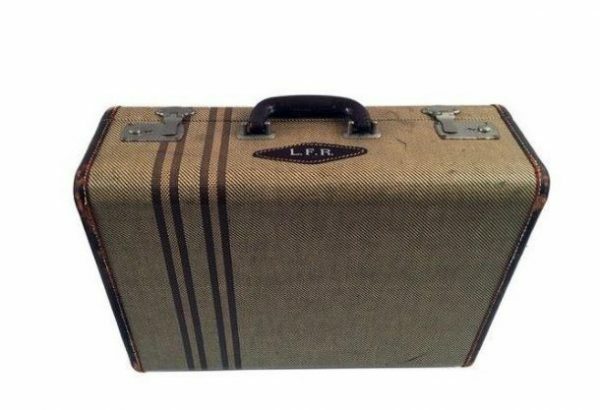 How do women in movies have such small suitcases and always have the perfect outfit? Is one of the best spas in America outside of Cleveland? Yes.